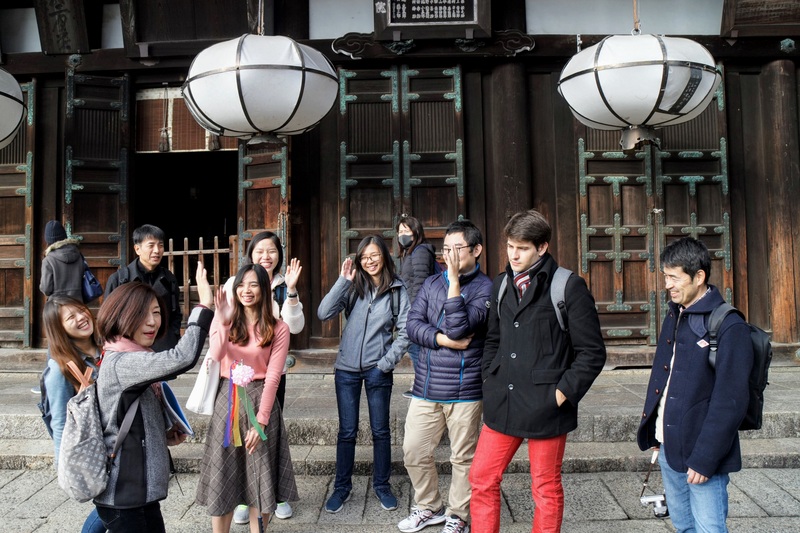 NAIST continually offers opportunities for its students, especially international ones, to experience and be more immersed in Japanese culture, besides the world-class research and academic formation that it primarily provides. 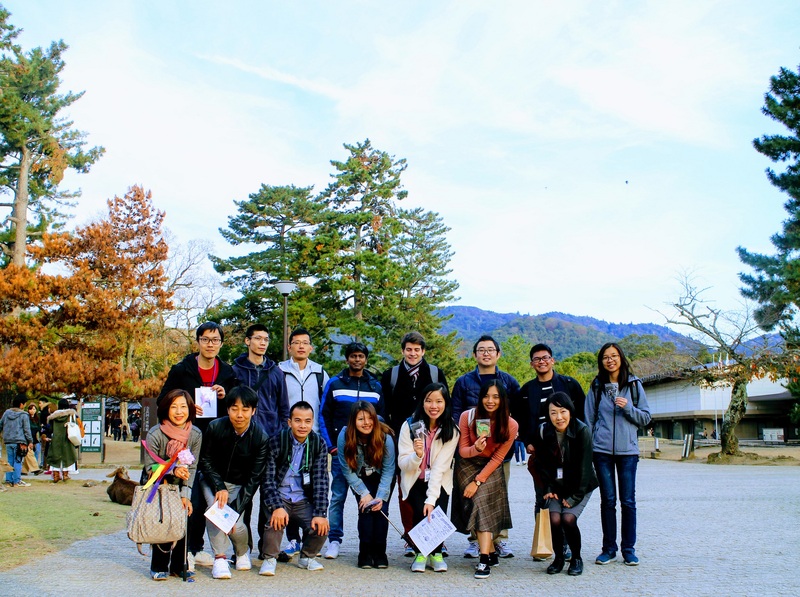 Last November, around 12 students participated in a tour around Nara Park and visited three historically and culturally significant places: Todaiji Temple, Kasuga-Taisha Shrine, and the Nara National Museum. 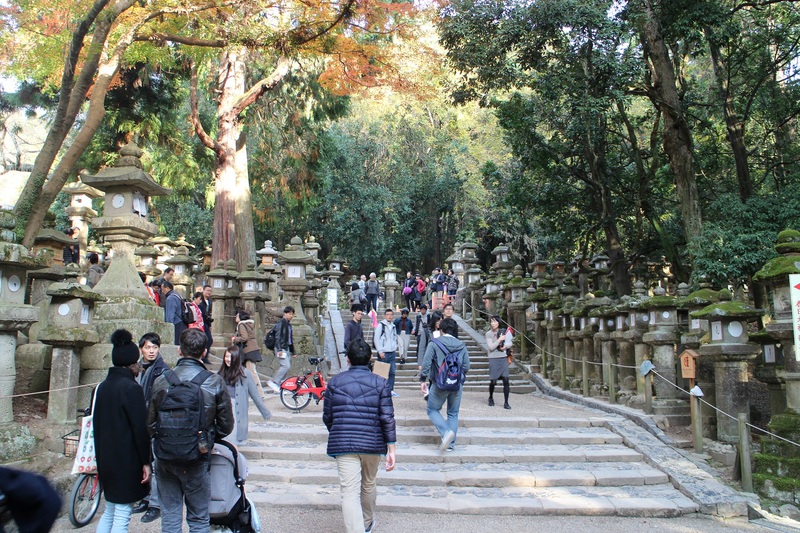 Both Todaiji Temple and Kasuga-Taisha Shrine are listed as UNESCO World Heritage Sites and are extremely popular for tourists. And what makes this trip even more appealing? It was free and featured English-speaking guides! 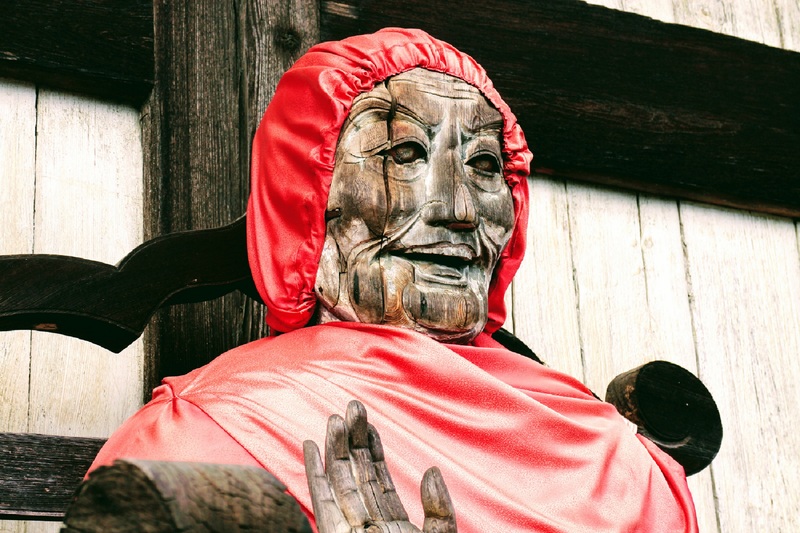 They helped us better appreciate the history and culture behind these incredible centers of Buddhism and Shintoism during the period when Nara was still the capital of Japan around 1300 years ago. 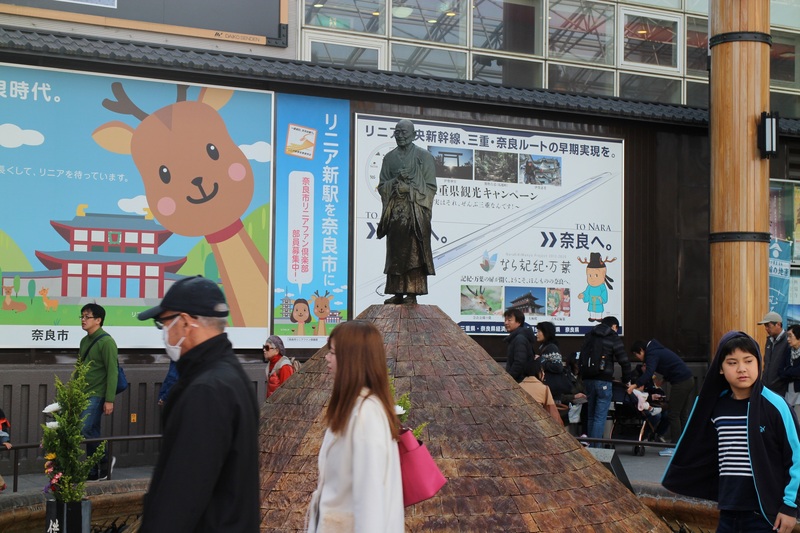 The students gathered in the familiar fountain in Kintetsu-Nara Station and were split into two groups, with each group designated an English-speaking tour guide. The first stop for this trip was Todaiji Temple (東大寺), which houses the Big Buddha (Daibutsu, 大仏), the largest bronze Buddha sculpture in the world! Todaiji is also known for being one of the largest wooden structures in the world. Here, we learned a bit about the history of Buddhism in Japan, and how it greatly influenced the Japanese society during the Nara period. We also learned about the significance of the pindola wooden sculpture just outside the Great Buddha Hall (Daibutsuden, 大仏殿). It is believed that if you have some pain in some part of your body and you touch the same body part of the sculpture, your pain will go away. For example, if your feet hurts, you should touch the feet of the pindola. That’s pretty cool, isn’t it? 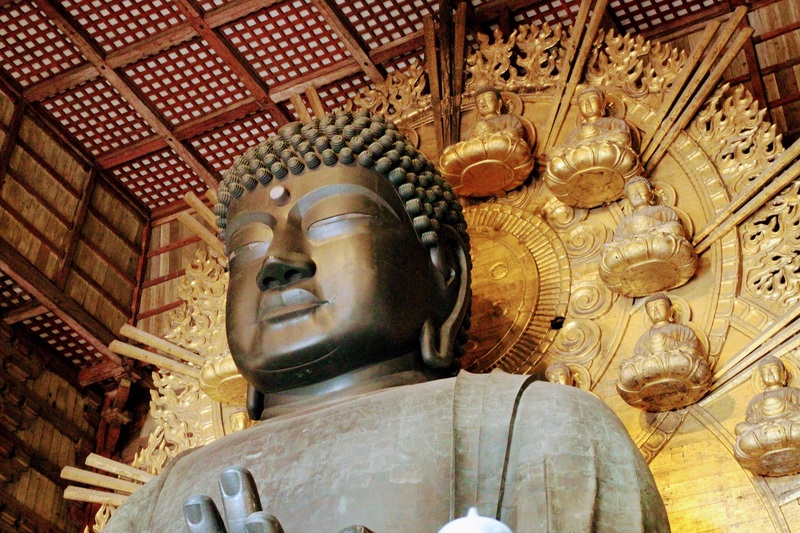 Todaiji’s Big Buddha, the largest bronze sculpture of Buddha in the world! 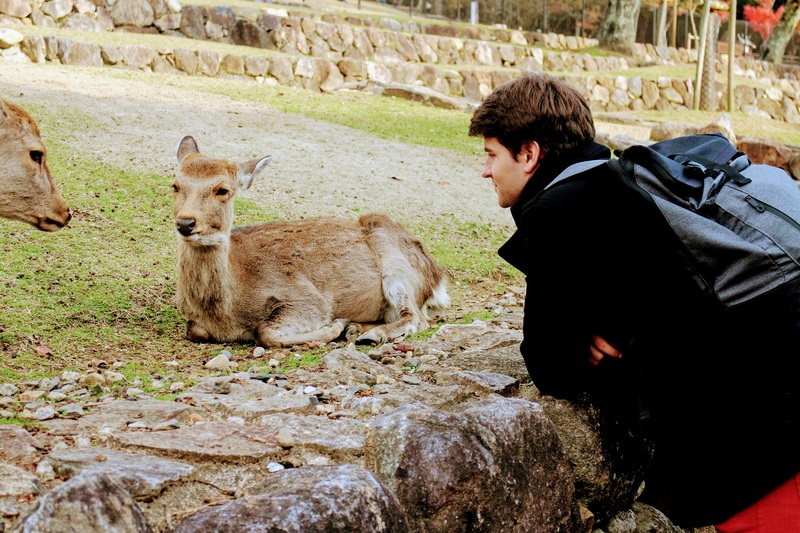 After this, we did a little hike to the east to Nigatsu-do Hall, which is still part of the Todaiji Temple complex. 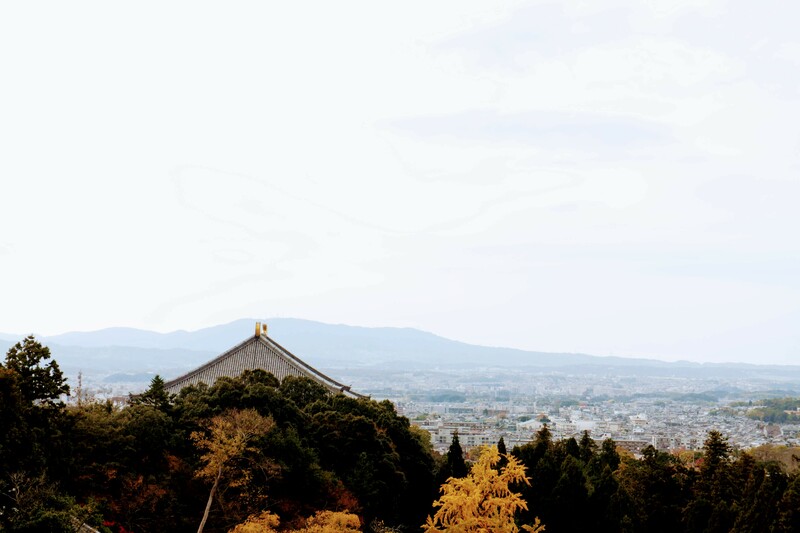 Here, one can admire an amazing view of the city of Nara. An important cultural event associated with repentance called Shuni-e (修二会), which literally means Second Month Service, involves the monks carrying burning torches in the balcony of Nigatsu-do Hall. People believe that when a spark of fire falling from the balcony hits you, then your sins will be cleansed. The tour guide mentioned that this ritual has been performed uninterruptedly since the completion of the hall around 770 AD, even during the war. 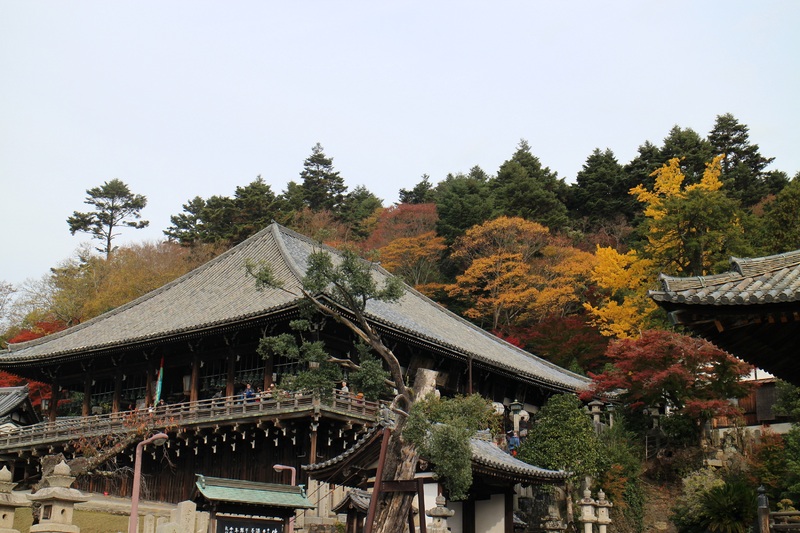 The second stop for this cultural trip was Kasuga-Taisha Shrine (春日大社), which is built on the mountainous area believed to be the home of the Shinto gods. 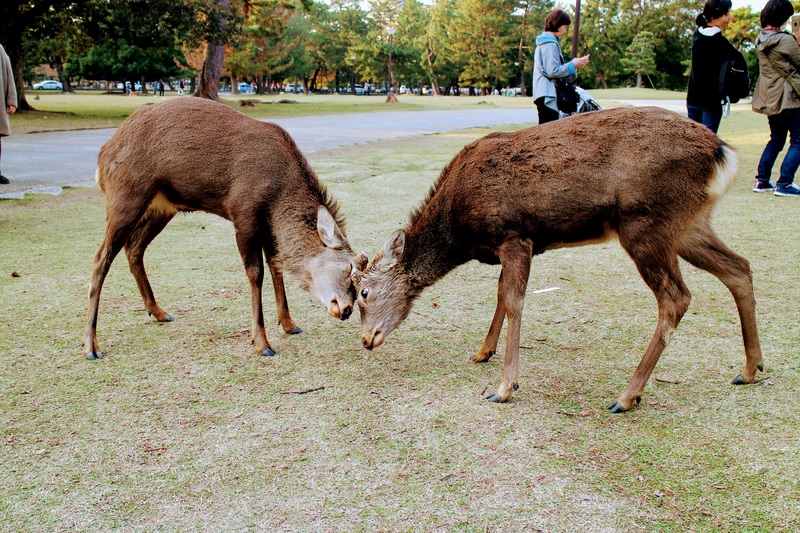 The popular Nara deer, which are revered to be messengers of the Shinto gods, freely roam this area, as well as in Todaiji. The tour guide taught us how to properly pray in a Shinto shrine and some students got to try it! The hundreds of lanterns lining the walkway are lit only twice in a year. It makes a spectacular view during these two rare occasions, according to the tour guide. 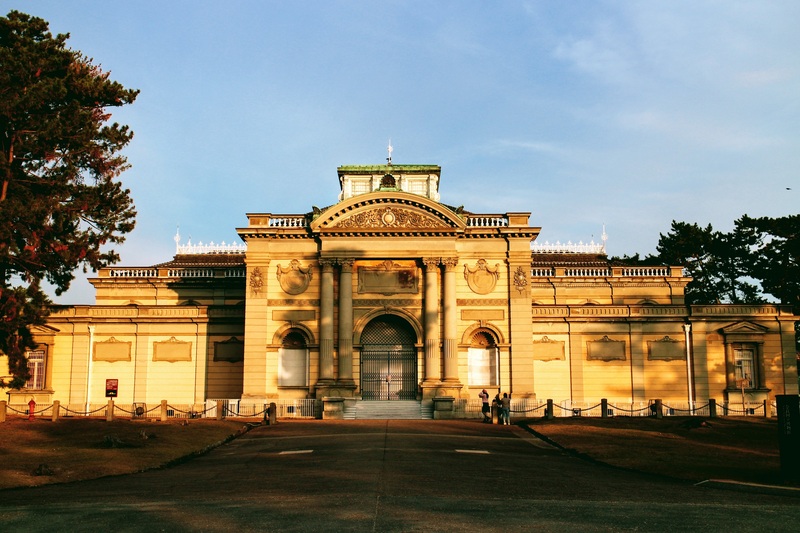 After sightseeing in these two world-renowned spots, we proceeded to the Nara National Museum to learn more about the history of Buddhism and Nara as an ancient capital of Japan. The museum houses several masterpieces of Buddhist sculptures made of wood, bronze, and other materials. There was an enormous number of Buddhist sculptures in the Nara Buddhist Sculpture Hall, there’s literally one in every corner and direction! 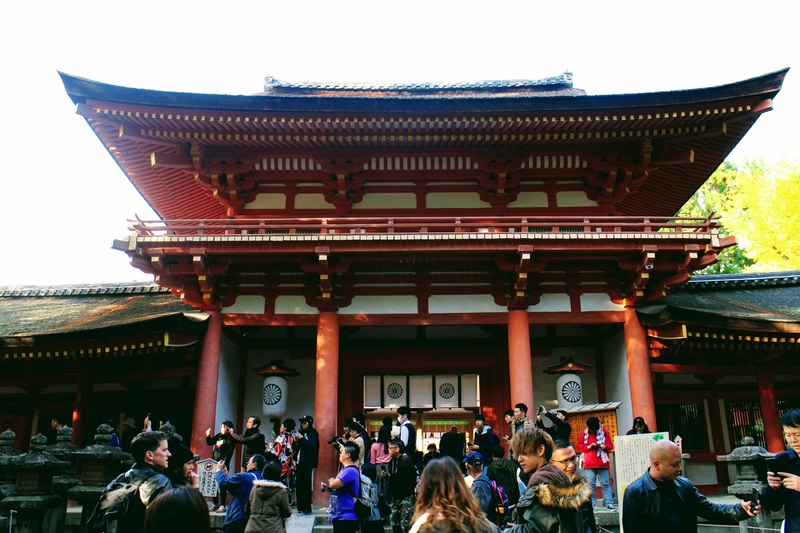 It was such an immersive experience to learn more about the prominent role that Buddhism played in ancient Japan. After this, the German intern in my lab (who is enjoying Japan so much, so far) and I wrapped up the day by having one of the best tonkatsu I’ve ever tried in Japan (in my personal opinion). At the end of it all, our stomachs, minds, and hearts were all full and delighted. 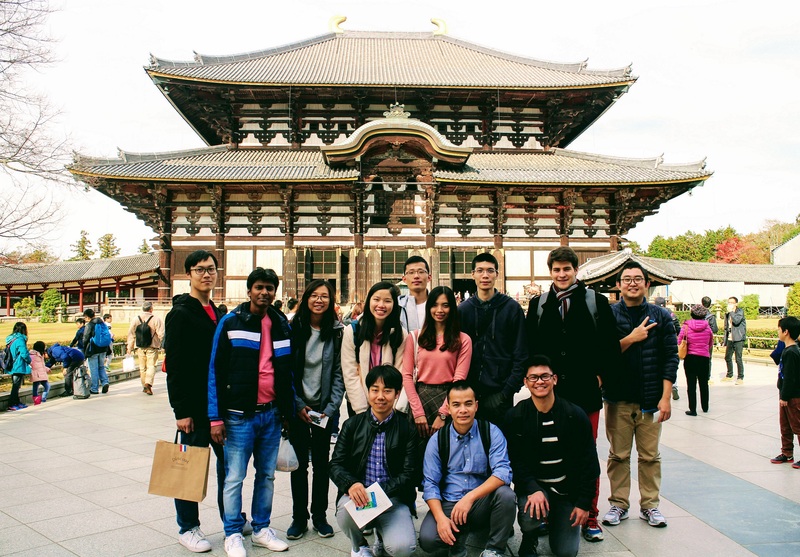 NAIST has delivered yet another amazing tour for its students and we can’t wait for the next one! PS: For anyone who wishes to participate in NAIST-sponsored events like this, just watch out for the e-mails. They’re there! Don’t ignore them and be quick in replying because slots always fill up quickly!